New Orleans' Police Use Of Body Cameras Brings Benefits And New Burdens : All Tech Considered The technology has improved police conduct and led to a drop in certain types of cases. But the body cams have added many extra hours of work watching videos for police and public defenders. The New Orleans Police Department was one of the first big police departments in the U.S. to embrace the use of body cameras. Can Cop-Worn Cameras Restore Faith In New Orleans Police? Three years on, the cameras have become part of the everyday routine, improving the local law enforcement culture, but also creating new burdens. Officers now turn on the cameras in nearly 100 percent of the incidents in which they're required to, according to internal audits. The improvements came after the department clarified the disciplinary consequences for failing to do so. 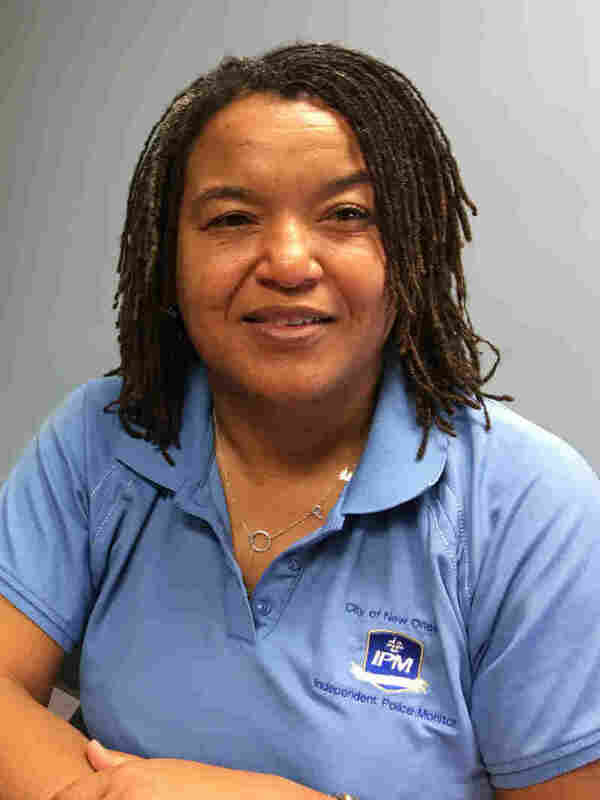 And the videos are more available to Susan Hutson, the city's independent police monitor. "There's almost always some type of video" for her to see now, she says. "The New Orleans Police Department has come a long way, no doubt," Hutson says, though she's still pressing for easier access. Susan Hutson, New Orleans' independent police monitor, says the police department "has come a long way," but she is still pressing for easier access to the police body cam videos. Right now, the police department refuses to give her physical custody of the videos, forcing her and her staff to come to the department to see them. "We continue to fight this battle," she says. "That's what 2017 is for us — access to all these systems." The Orleans Public Defenders office has a similar assessment. The chief of trials, Danny Engelberg, says the videos are being recorded regularly, and the cameras have had a positive effect on police conduct. "They can't get away with some of the practices they used to," Engelberg says. "Busting into people's houses, going into people's cars, just coming up to people and searching them with impunity, and we just aren't seeing as much of that." For instance, he says his office used to get a lot of "dropsie cases" — that's what he calls the cases in which police claim to have seen a defendant drop or discard illegal drugs, which justifies the arrest. It was hard to verify the officer's version when there was only a written arrest report; now that there's video, Engelberg says those cases are "much less common." And the videos sometimes bolster defendants' cases: Engelberg says videos have helped clients by showing they weren't read their rights at the correct time, or — in one extreme case — when an officer appeared to try to angle the camera away when he planted drugs on a suspect. Engelberg says the camera caught it anyway. 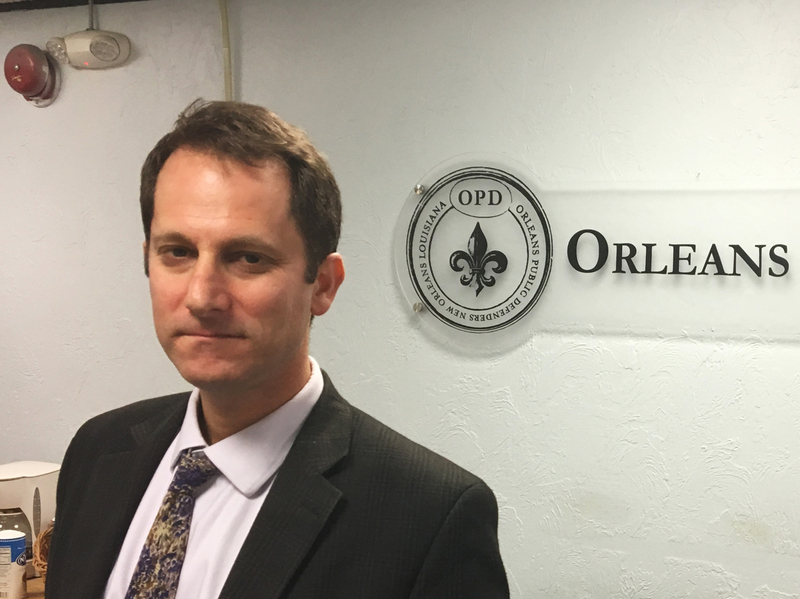 Danny Engelberg, chief of trials at the Orleans Public Defenders office, says the body cameras have had a positive effect on police conduct. But there's also a downside for the public defenders: The body cameras mean more work. "It can be four or five hours of video-watching per case," Engelberg says. "And when you're talking thousands of cases per year, that's a lot of people power." Staff attorney Stas Moroz is one of those stuck watching the videos. "It's like reality TV for police officers," he says. The videos can be tedious because they record the entire time it takes cops to collect statements, write reports and drive the defendant to jail. It can take half an officer's shift — and Moroz is reluctant to fast-forward. "Sometimes we're forced to, but that's not good practice, and I feel terrible about it," he says. "Because then I'll watch it the second or third go-around, maybe at a later stage in the case, and then I'll realize I missed something significant." The extra hours of video-watching are an especially heavy burden for public defenders, who already carry huge caseloads. In fact, the Louisiana public defender system is currently being sued by inmates who claim they weren't given sufficient legal counsel. And it's not just lawyers who are spending hours with the videos. 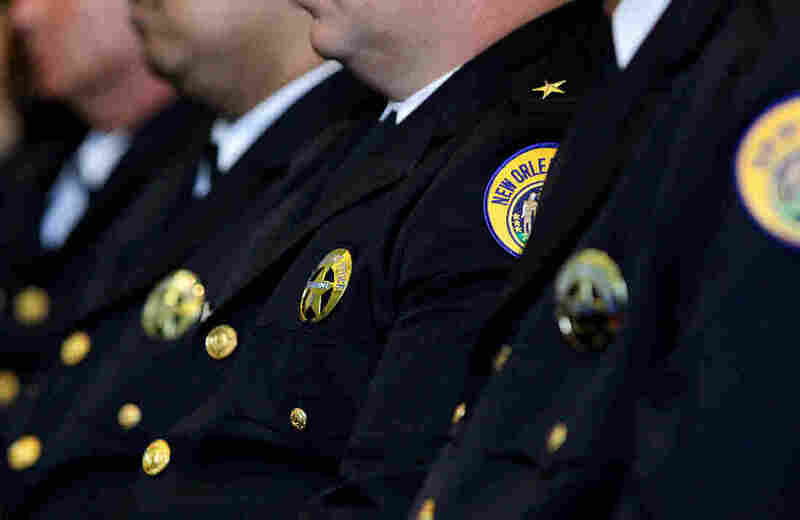 New Orleans police supervisors also are required to carve out time for them. "We mandate that they review any incident that results in a use of force or misconduct complaint or any type of injury," says Danny Murphy, the deputy chief of the NOPD's Compliance Bureau. On top of reviewing those incidents, he says the department also wants lieutenants and sergeants to do random checks of videos of everyday interactions on the streets, to track their officers. "It's facilitating close and effective supervision on a scale that's never been seen before," Murphy says. Lieutenants are required to view at least 30 such videos a month — though they are allowed to fast-forward through portions in which little is happening. Still, that's a big time commitment in a police department that has been chronically short-staffed and has a history of long response times for 911 calls. It also contributes to a feeling of being "nitpicked," says Donovan Livaccari, the lawyer for the local chapter of the Fraternal Order of Police. "It leads to a lot of Monday-morning quarterbacking," he says. "You're talking about somebody who's in the heat of the situation, is taking the actions that they think is the best at the time, versus somebody who has the opportunity to review a video 20 times before making a judgment. So I do think those kind of things do wear on people a little bit." Nonetheless, New Orleans police appear to have accepted the cameras as the new normal, in part because the department is so dedicated to the technology. NOPD is in the midst of a federally monitored reform process, and the cameras are a key part of its strategy to document improvements. But nationally, some police departments have hesitated in embracing the cameras, especially after considering the amount of added work and expense they could create, says Nancy La Vigne. She directs the Justice Policy Center at the Urban Institute, which has been tracking police department's adoption of cameras. "There's issues around the costs associated with reviewing the video footage," she says. "And there's a lot of concern around releasing the footage to the general public and doing so while also protecting the privacy of the people captured on camera. That involves redacting the footage, and that tends to require people to go in and do that by hand, and that can be very time-consuming and costly." Nevertheless, she says, many law enforcement agencies still seem eager to buy the cameras, encouraged in part by millions of dollars in federal grants. But the purchase price of the cameras isn't the same as the long-term cost. "I think those costs are going to catch up with agencies over time," La Vigne says.